It’s Cyber Monday…don’t forget to order your Cougar Wrestling clothing! Orders will be taken through Thursday, November 30th. Clothing will be distributed on Thursday, December 21…more details to come. Orders are now being taken for the 2018 calendars! Our Zumbrota-Mazeppa Wrestling Community Calendar is one of the largest fundraisers for our program. These calendars run March through February and are personalized with birthdays and anniversaries. Don’t miss out on this great opportunity to purchase a calendar for your family and friends and support ZM Wrestling! Each year, wrestlers head out into the community to gather calendar orders. We’re also able to take orders through our website. To order, please click Community Calendar under the store tab and fill out the online form. Calendars are $10 each. Make your check payable to: ZM Wrestling. Calendar orders are taken through December 1, 2017 with delivery scheduled in February 2018. The wrestling season has officially started and our online team store is now open! Orders will be taken through Thursday, November 30th. Clothing will be distributed on Thursday, December 21…more details to come. The 2017-2018 Season is upon us! Just a few updates & reminders as we get the season underway! Community Calendar Blitz will be held on Saturday, Nov. 18…stayed tuned to your email for details. Online Team Store for clothing orders will be opening this week! Practice begins on Monday, Nov. 20th…be sure to complete registration forms online ASAP via the ZM Schools website. CONGRATULATIONS to ZM Cougar senior Caden Steffen who signed a National Letter of Intent to wrestle for the Minnesota Golden Gophers next year! Author steffenjenPosted on November 12, 2017 Categories Announcements, High SchoolLeave a comment on The 2017-2018 Season is upon us! Congratulations to Jarret Haglund for earning a spot on the 2017 Academic All-State Team selected by The Guillotine! Jarret is a wonderful young man who continually works hard both in the classroom and on the mat. Thanks, Jarret, for being such a positive role model for your teammates and future Cougar wrestlers! 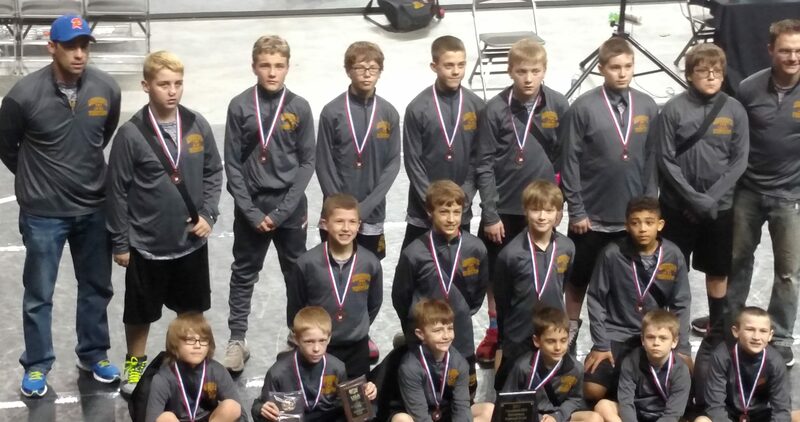 There is plenty of activity continuing into the spring for the ZM wrestlers. Many have been attending freestyle/Greco practices in Mazeppa, Stewartville, Cannon Falls, Rochester, Simley, Kasson, and Augsburg College. Some have been attending tournaments from Apple Valley to Cannon Falls and all the way to Cedar Falls and Council Bluffs, IA! Several wrestling community members also found time to give back and help clean up road ditches along Highway 52 that ZM Wrestling adopted years ago. Pictured: Jack, John, Jarret, Hayden, and Michael at Eastview FS/GR tournament. The highway clean up crew. Ryan representing Team Minnesota at the Heartland USA National Elementary Duals in Council Bluffs.